Prices quoted are for one-day use only. Weekly and monthly rates available upon request. A 50% deposit is required on all reservations. Total rental amount is due at time of delivery or customer pickup. Equipment is priced for time out whether it is used or not. Extra charges will be added for missing or broken equipment. Delivery will be made to ground level, backyard tent area or to a location accessible to our delivery vehicle. All equipment must be returned to original spot of delivery. Tables must be folded; chairs must be stacked or bagged to avoid a breakdown fee. All equipment must be left under tent or covered to protect equipment from weather conditions. New York Sanitary Regulations require that all glassware, flatware or chinaware be rinsed, food free and placed in original containers. Linens must be completely dry and folded. Torn or burned linen are subject to replacement cost. 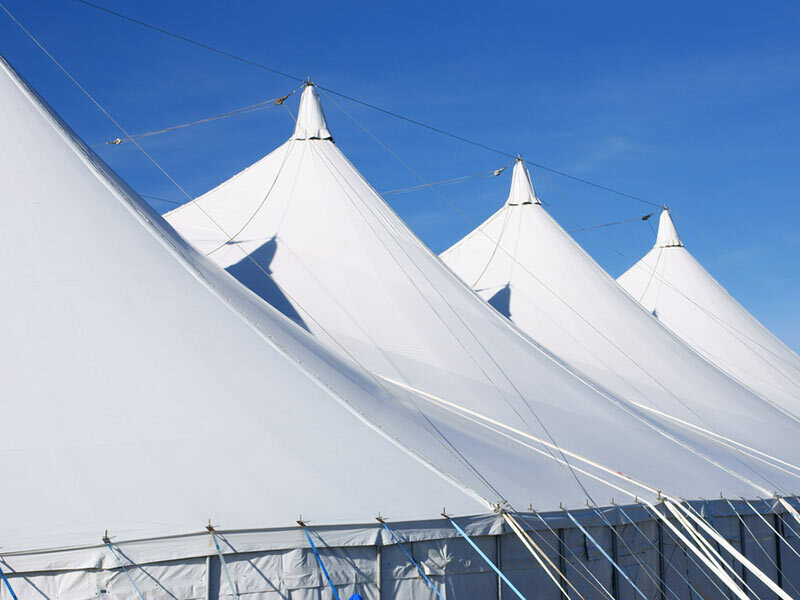 Tents and canopies are not permanent structures and are susceptible to weather conditions. We reserve the right to remove any tent, which in our opinion will do possible damage to our equipment or to anyone’s property. When should I reserve a tent or place an order? All rentals are on a first come first serve basis. The sooner you reserve your equipment the better. Even if you do not know your exact guest count, it is best to reserve your tents or equipment and then make the adjustments as needed. A reservation is made and confirmed upon receipt of a deposit. All changes must be made at least 48 hours prior to delivery. Additions to your order are welcomed and are subject to availability. Deletions must be made at least 48 hours prior to delivery or a 50% restocking charge will be assessed. All cancelled tenting and tent accessories (lighting, heaters, dance floors, fans are subject to a 50% cancellation charge. Normal delivery hours are from 8am to 6pm Monday through Friday. Weekend or after hour deliveries are available for an additional charge.If you require delivery within a specific time frame an additional “timed delivery fee” will apply. Tents are set-up Wednesday, Thursday and Friday for weekend parties. Delivery charges are determined according to the location and the amount of the rentals. Customers can also come to our warehouse to pick up their rentals. Our staff will assist you in loading your items but the customer is responsible for protecting their vehicle and our equipment. Elite Tent & Party Rental sets up and takes down all heavy equipment such as tents, dance floors, stages and lighting. Other items such as tables, chairs, linens and glassware are setup by the customer or caterer. What should I do once the event is over and before the pick up? All tables and chairs must be folded, bagged, stacked and ready for pickup. All dishware should be scraped, rinsed, and placed back in their original containers. Glasses should be put back in their racks. Linen must be shaken and dry to prevent mildew and staining. How do I protect your equipment? All equipment must be left under a tent, on a covered porch or in a garage to protect it from inclement weather conditions. Am I responsible for missing or damaged equipment? Customer is responsible for damaged or missing equipment and a replacement cost will be assessed.